My dog, Lucy, got me up for a potty break around 4 Monday morning. I am always a little bleary at these moments, shuffling to the kitchen to get her harness. I lean out the back door, holding onto the leash, eyes barely open and whispering words of encouragement to get her to do her business quickly. This day, I was a little more alert, on the lookout for the snow that Portland forecasters had promised yet again. Seeing none, I went back to bed and got up at my usual time. I turned in the coffee pot before I showered and dressed. Once dressed, I went to get my first of my two morning cups. Of course, a two-hour delay had been called while I showered. I look outside. There was very little snow on the ground at home, but school is 30 minutes away and at a higher elevation. I puttered at the computer, drinking my coffee, then sat down to knit a bit. 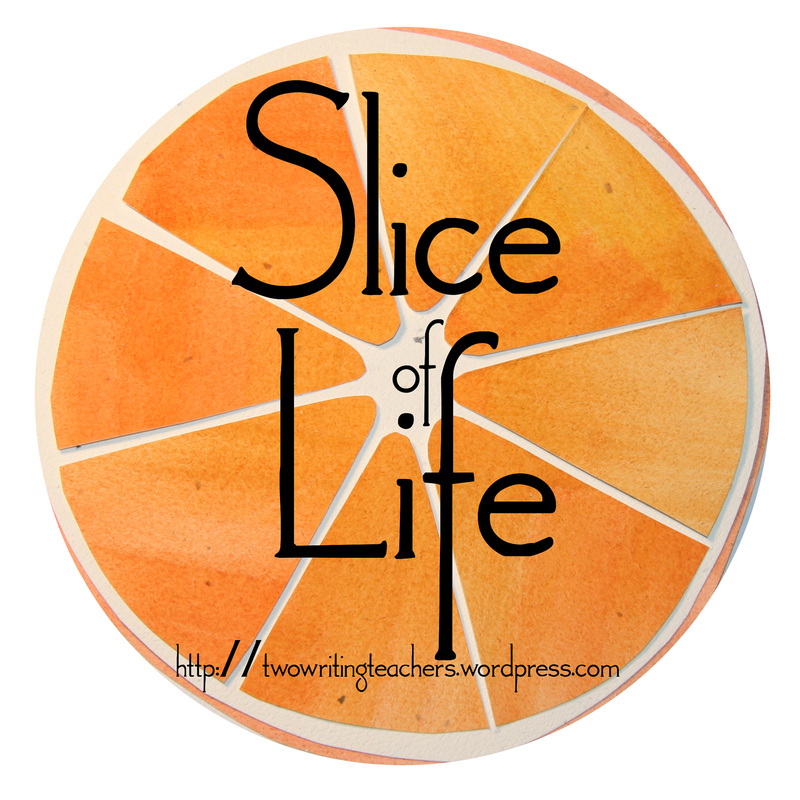 When the coffee ran out, I checked the closures: still a two-hour delay, so I wouldn’t make a pot of tea, I’d make a second round of coffee while I packed my lunch, thinking about what time I should leave. About a half hour later, Beaverton schools were closed – Portland Public Schools maintained their two-hour delay. My streets were still clear, but apparently the storm had veered West and my school district’s higher elevation mattered. I dumped the last of the coffee and put the kettle on for tea. I started kindergarten in 1969. I have few memories about it, but this I have are very clear. One of those memories is encountering Ezra Jack Keats’ The Snowy Day. The book spoke to introverted little me, who loved making snow angels. So, here I am, almost 50 years later, sitting at home after a huge snowfall in Portland, enjoying our 6th snow day of the school year. And I read Andrea Davis Pinkney’s A Poem for Peter, which tells the Ezra Jack Keats biography, focusing on how he created The Snowy Day. painted the world’s walls a brighter shade. She connects snow to equality. seem right around the corner. Snow doesn’t choose where to fall. over a poor lady’s stoop. Snow is magical and it is especially so for children. I hope kids of all ages in Portland get out and enjoy the snow today. Play, throw snowballs, make snow angels. But be a snow angel in another way, if you can. Four homeless people have died of exposure in Portland in the last 10 days. Think about them, too. Act if you can. Donate if you can’t act. But do something to help the homeless feel that the snow brings Magic to them, too. With temperatures forecast to dip into the low 30’s Sunday night, Oregonians became anxious and excited. Would there be a snow day? When snow falls, things shut down here in a way that makes my Canadian family shake their heads and chuckle, even as I explain how we lack the infrastructure to take care of snow. And as soon as the first flake falls, kids start hoping for a snow day. Monday’s snow didn’t start falling until after 9 a.m. Big white flakes were suddenly pouring out of the sky and you could hear the excitement ripple around the school. Before long, the trees outside my classroom were covered. As my first period students entered, they wanted to know if they’d be sent home. My reasoned explanation that to was safer to keep kids at school and dismiss them at the regular time was accepted, but did nothing to curb their enthusiasm. As their excitement rose, I began to worry. I had a meeting after school that would go late and didn’t relish the idea of driving home, at night, in snow. I hoped fervently that it would melt before I had to drive. When had I turned into this worried middle-aged curmudgeon? We have cold, wet weather forecast for the next few days. I am going to work on my attitude and celebrate the snow, especially if I am at home. I’m home today. School is closed. I’m on the sofa with a dog on each side of me and life is good. I’m thinking about some of my favorite books related to snow. 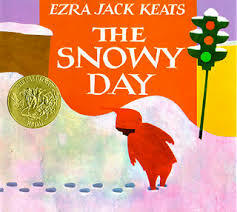 I have vague memories of a primary teacher reading Ezra Jack Keats’ The Snowy Day to my class. My favorite part was, and still is, making the snow angels. The book was first published in 1962, but I think it still works. 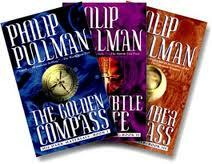 If you are housebound for a long time, you might have time for Phillip Pullman’s His Dark Materials series: The Golden Compass, The Subtle Knife, The Amber Spyglass. 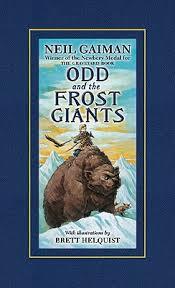 For Neil Gaiman fans, there is Odd and the Frost Giants, which draws on Viking history and Norse mythology. 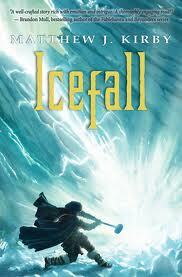 Matthew J. Kirby’s Icefall also has a Viking setting. Trapped in a hidden fortress tucked between towering mountains and a frozen sea, Solveig–along with her brother the crown prince, their older sister, and an army of restless warriors–anxiously awaits news of her father’s victory at battle. But as winter stretches on, and the unending ice refuses to break, terrible acts of treachery soon make it clear that a traitor lurks in their midst. Solveig must also embark on a journey to find her own path. What are some of your favorite snow related books?